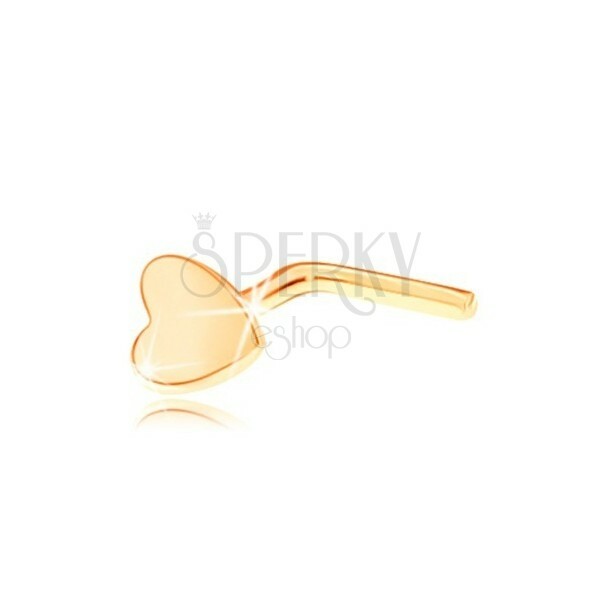 Yellow 9K gold bent piercing - head has a shape of tiny heart with glossy surface. By buying this product you can collect up to 4 points as a voucher of £0,68. Your reward points. 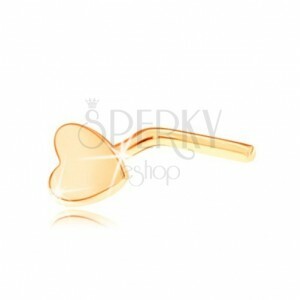 Yellow nose 375 gold piercing has bent shape and decorative head of small heart shape. Heart is flat, symmetric and it has glossy surface.